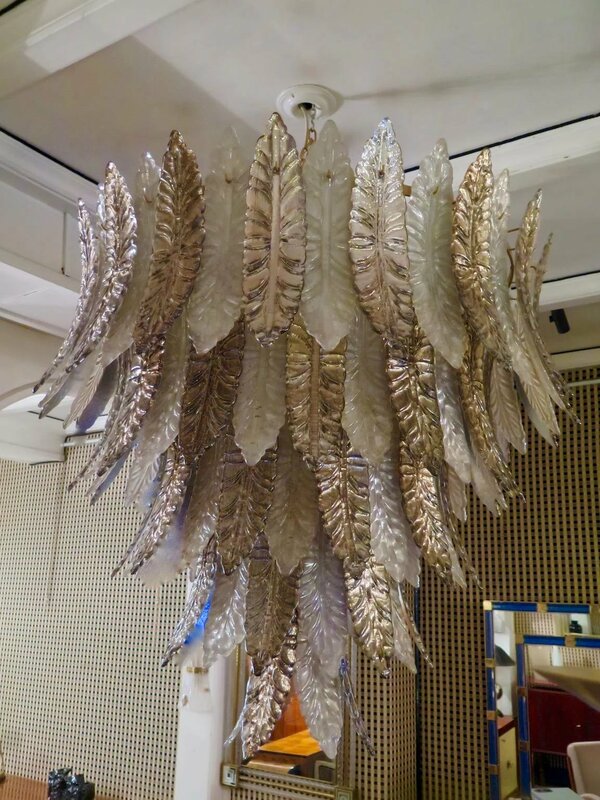 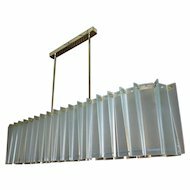 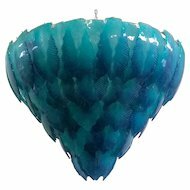 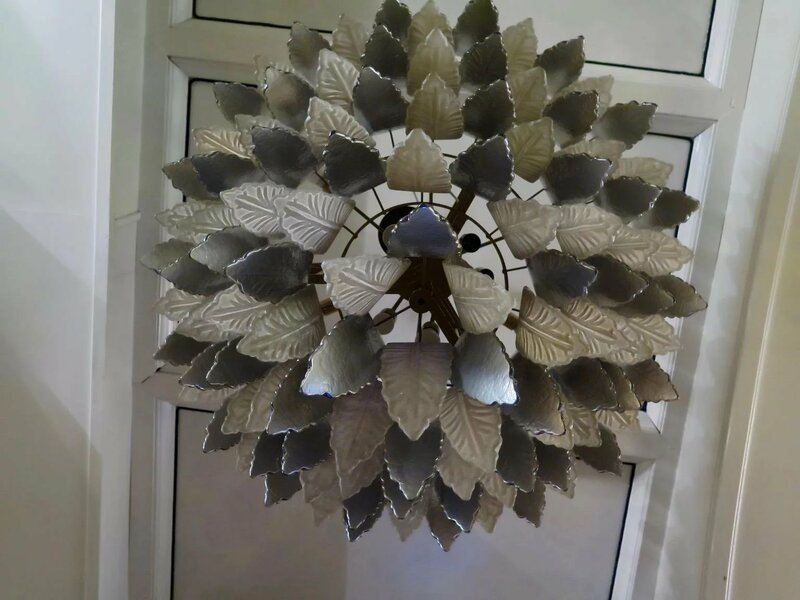 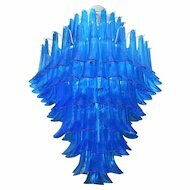 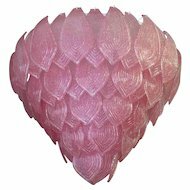 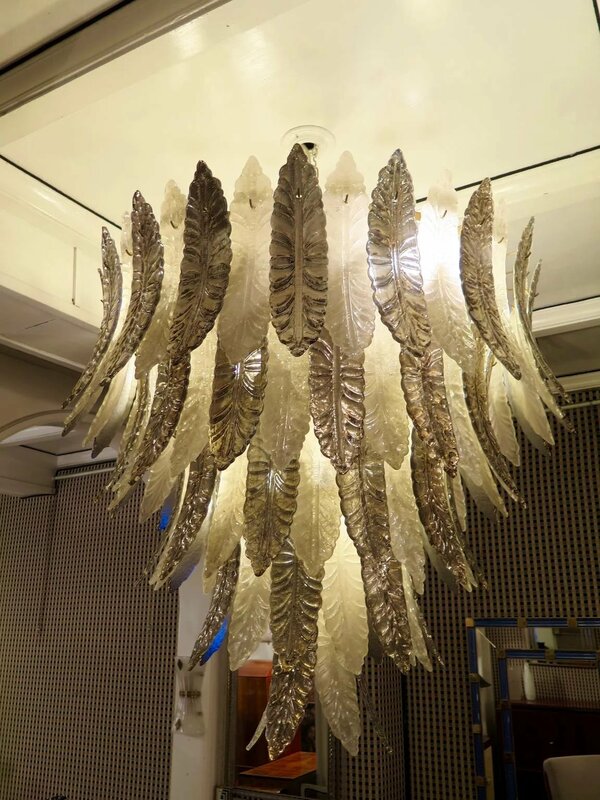 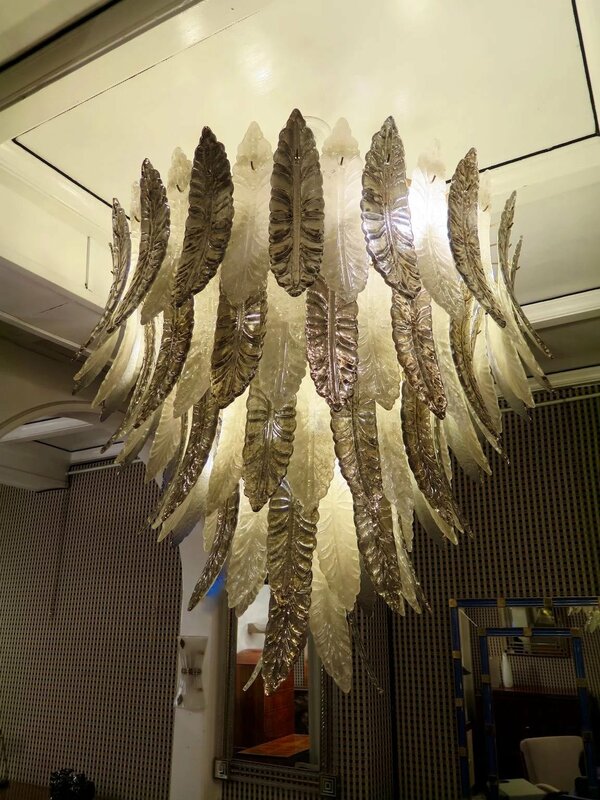 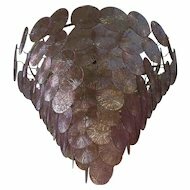 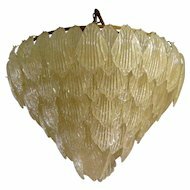 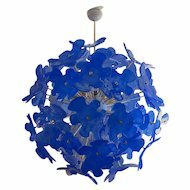 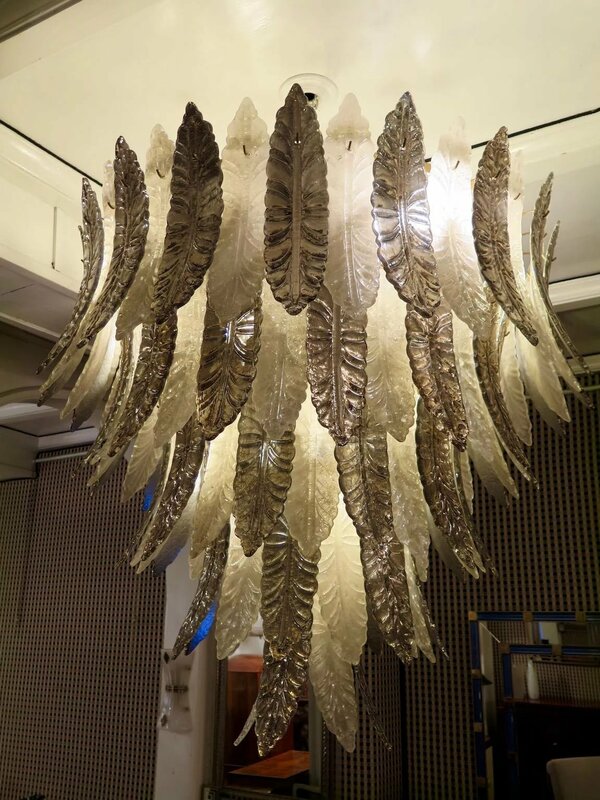 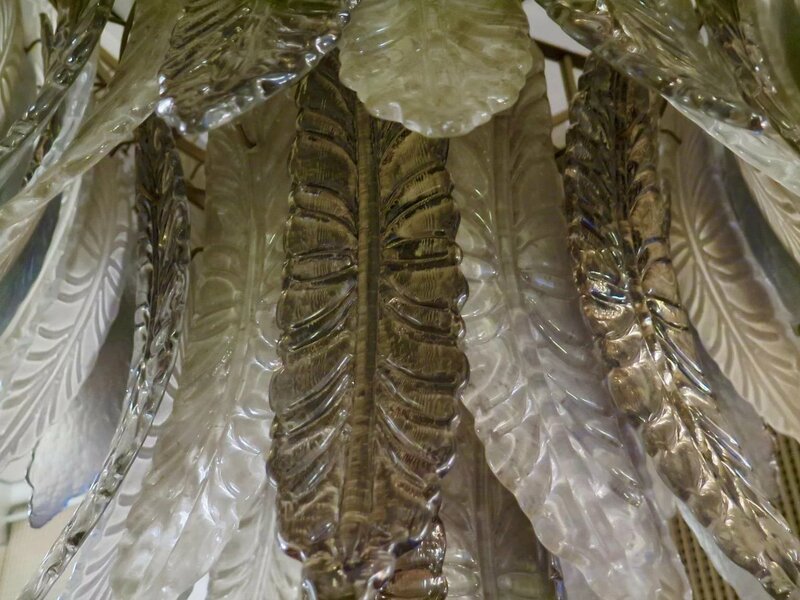 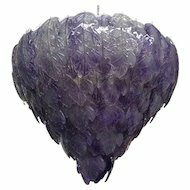 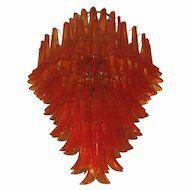 Beautiful waterfall of leaves for this Murano chandelier, the particular shape of the leaves and even the very elegant color. 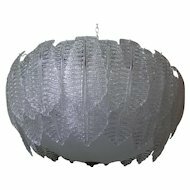 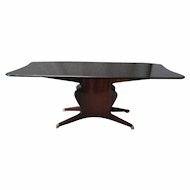 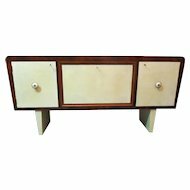 perfect for a livingroom or an entrance. 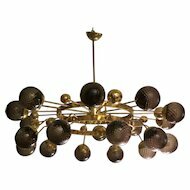 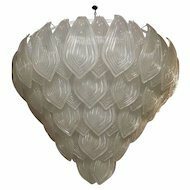 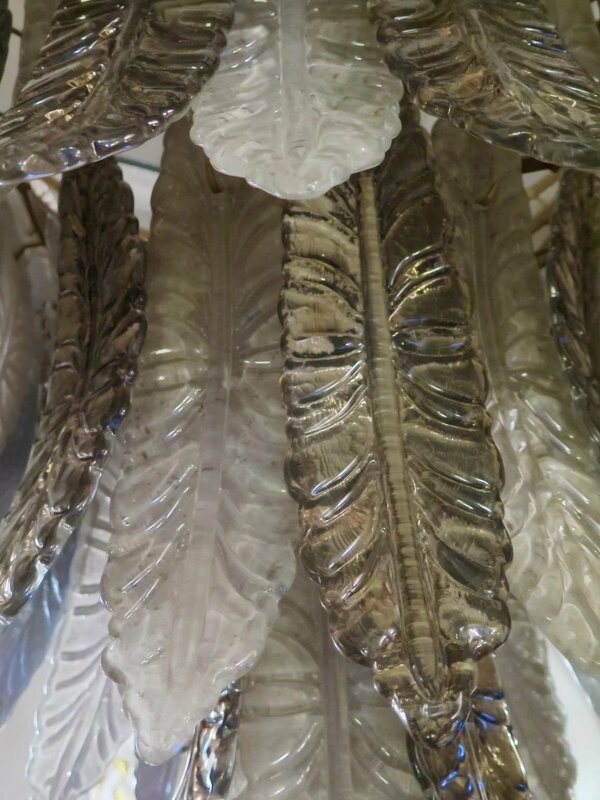 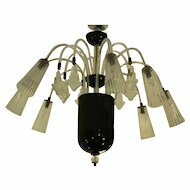 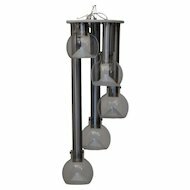 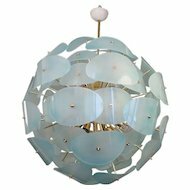 White and Dove Gray for This Murano Chandelier, Italy 1980s.